Amazing value in this move-in ready home. ALL NEW carpet & tile on the main & second levels! Great buyer peace of mind with most of the big stuff new: Brand new roof, furnace 2015, H2O heater 2014, & newer windows throughout! Hard wood floors in kitchen & hallway. Spacious secondary rooms & oversized master shower. You'll appreciate SS kitchen appliances, white trim throughout, vaulted ceiligns & built in cabinetry around cozy FP. Great location just mintues off base! 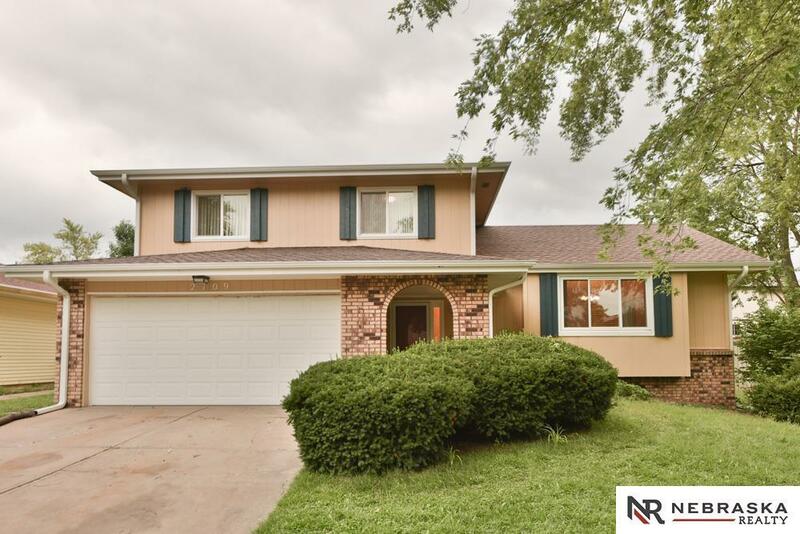 Listing provided courtesy of Nebraska Realty Burt Ste 200.